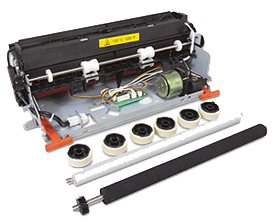 Ensure optimal performance and device life with Genuine Lexmark and Brother Parts. Critical workflows are becoming increasingly dependent on output devices—like multifunction printers (MFP)—to intake, process and route critical information throughout the organization. Count on Genuine Lexmark and Brother parts, worldwide parts availability and our break-fix services to keep your devices running at top efficiency and performance.